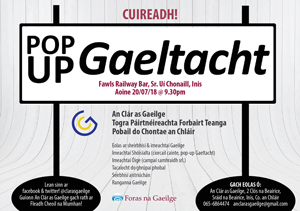 Since the establishment of this project in 2002, it has done a lot of work in promoting the Irish Language in Ennis and in the County in general. It is a community based project, which has representatives on it from all the community groups that are actively promoting the Irish Language in the County and so we have access to community work at an effective level, where it has the greatest impact. 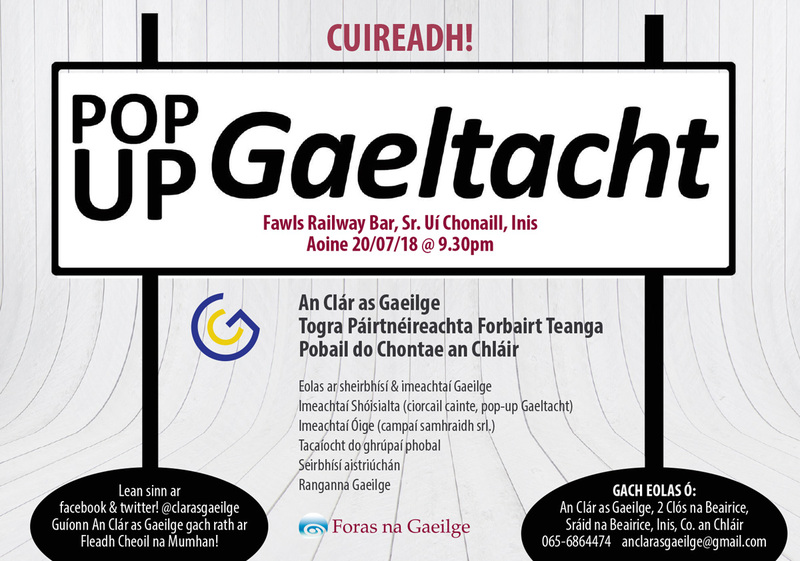 This project is organised by the Ennis Branch of Conradh na Gaeilge that is active in promoting the Irish Language with more than thirty years and funded by Foras na Gaeilge under Scéim Phobail na Gaeilge. Copyright © An Clár as Gaeilge 2011. All Rights Reserved.